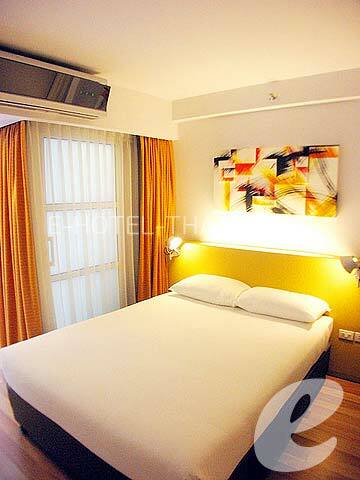 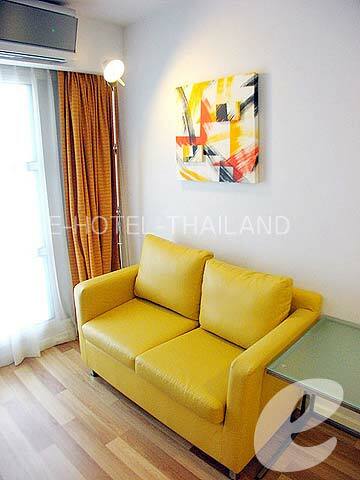 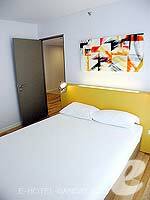 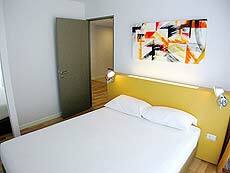 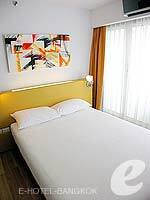 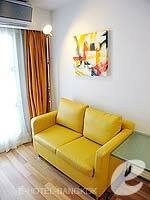 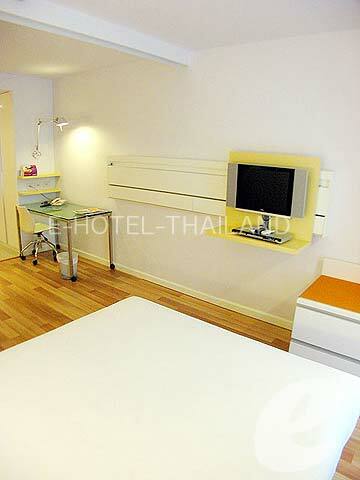 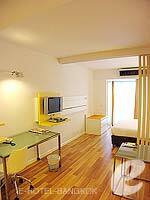 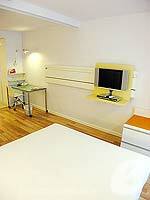 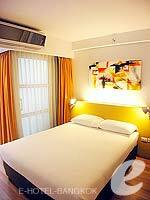 Studio Executive room is bright and modern with white walls and wooden floor. 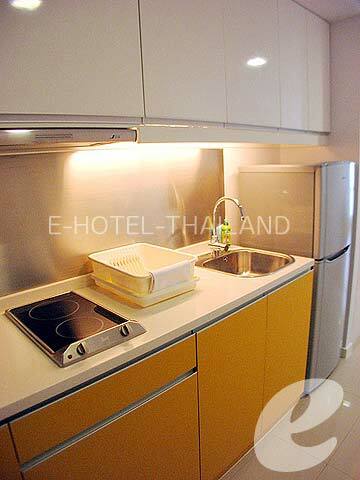 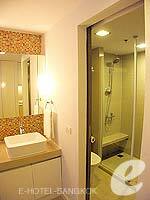 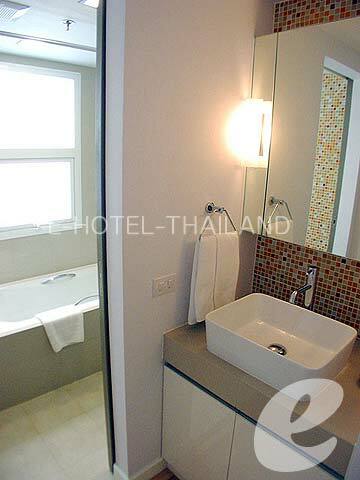 The size of the room is only 30 sq m, but it is designed with space saving in mind for your comfortable stay. 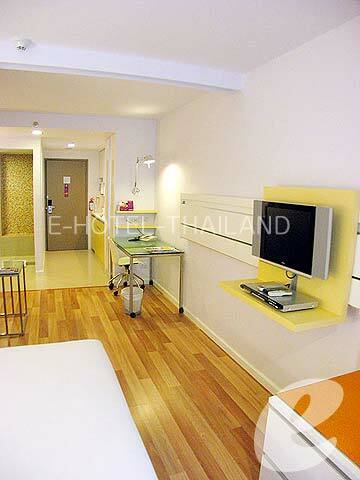 The flat screen TV on the wall can slide right to left, allowing you to watch it in the bedroom and living area. 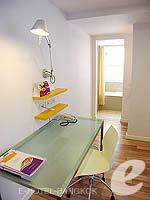 The room features a living area, desk space, and kitchenette. 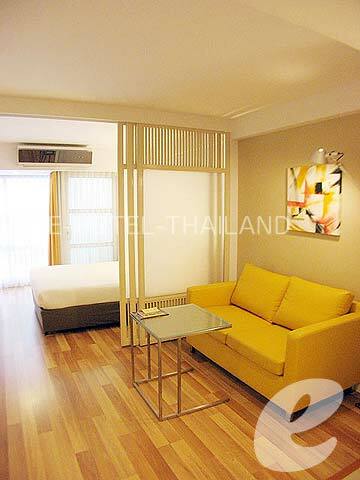 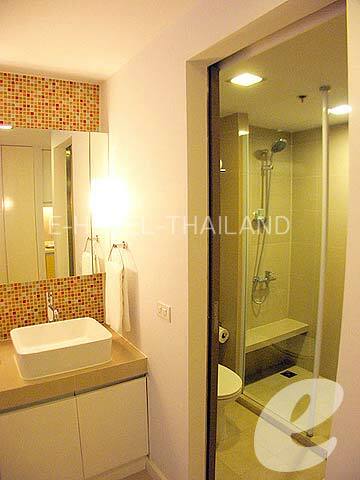 1 Bedroom Deluxe consists of a bedroom and separate living room. 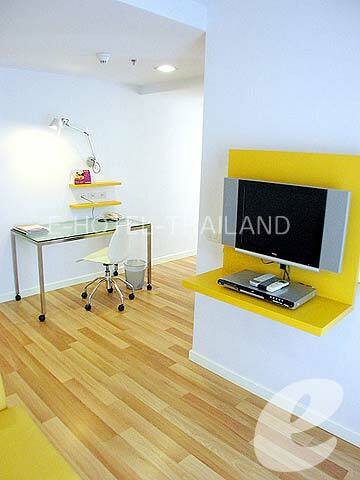 The room is not particularly large with an area of 36 sq m, but it is designed to give an impression of space. The room also has a kitchenette. 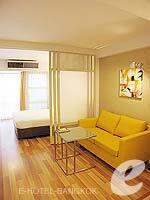 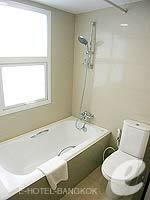 It is ideal for short and long term stays.